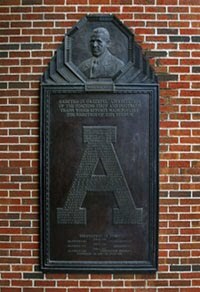 Remember the Rose Bowl: Epp Sykes And The Composition of "Yea Alabama"
The phrase, "Remember the Rose Bowl" is derived from Alabama's fight song, "Yea Alabama." The song was composed as part of a contest held by the campus humor magazine the Rammer-Jammer following the Crimson Tide victory in the 1926 Rose Bowl game. Until that time the football team's fight song had been "Swing" which had been appropriated from Washington & Lee University. A panel composed of members of the university's music department selected the composition submitted by Ethelred Lundy "Epp" Sykes from more than a dozen songs that were submitted. "RAMMER-JAMMER has no power to make the student body accept the song. We do ask that the song be played on every occasion in which a battle march is needed, and, if it is liked, for the students to accept it." Sykes attended Alabama on a four year engineering scholarship from the Alabama Power Company after coming in second for a scholarship offered by the Birmingham News. 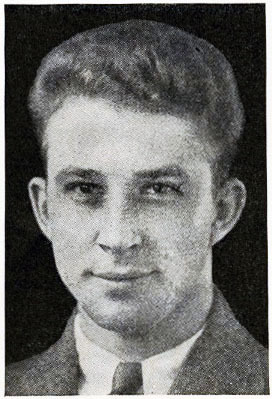 After graduating in 1926, Sykes studied law for a year at UA then became an account executive with Sparrow Advertising Agency in Birmingham. In 1940 Sykes was called into active duty by the U.S. Air Force. He served in both World War II and the Korea conflict, eventually rising to the rank of Brigadier General. In 1947 he donated the copyright and future royalties of "Yea Alabama" to the University of Alabama. He died on July 1, 1967. The phrase "Remember the Rose Bowl" is placed in quotation marks in Sykes' original lyric, as reproduced in the May 1926 Rammer-Jammer. That indicates to me that he was incorporating a phrase that perhaps was already in popular use on campus.